No prep! Fifteen word problems that ask students to write and solve algebraic expressions. 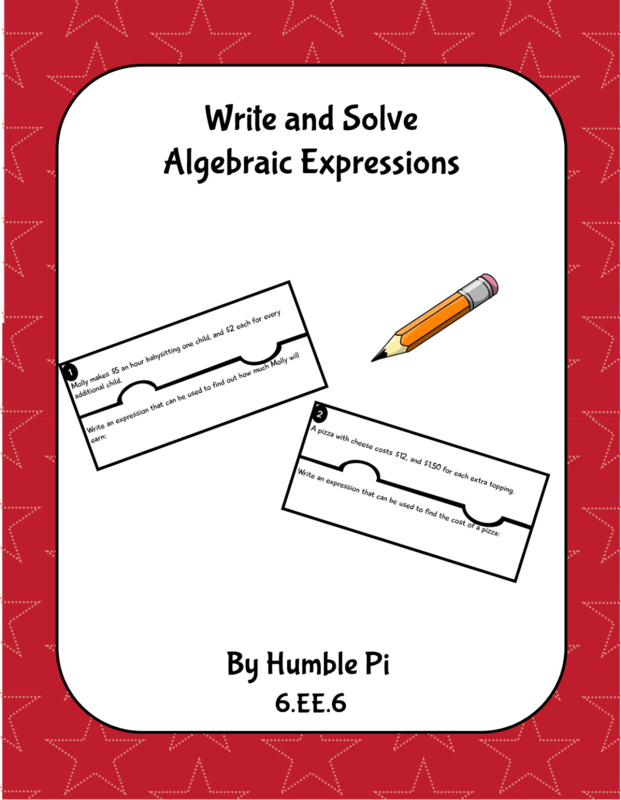 Set in a fun puzzle shape, these problems can be used as a relay game, task cards, station cards, or individual work. Aligned to 6.EE.6, but great for 7th and 8th grade review, too. Answer key included.